If you are a participant in the cannabis community, you’ve probably heard at least one person say that they actually drive better high. We can’t speak for every driver – maybe that’s true in some cases. But even the National Organization for the Reform of Marijuana Laws (NORML) says that despite expert opinion that marijuana is safer than alcohol or many prescription drugs, you should never operate a vehicle while impaired by marijuana. 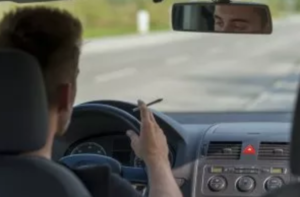 In simulator tasks, it has been shown that marijuana causes worse car handling, increased reaction time, impaired estimates of distance, drowsiness and less vigilance. But the science of marijuana impairment doesn’t square well with any laws we’ve come up with to prevent impaired driving. In zero tolerance states, any amount of marijuana in the system can net you a DUI charge. But habitual users can have marijuana in their systems for days, even weeks after they last toke up. Additionally, some of these states have legal medicinal marijuana – are marijuana patients expected to never drive? Clearly, zero tolerance doesn’t work. In states like Colorado, where we have a legal limit of five nanograms of THC per cubic milliliter of blood, you can get a DUI-D for surpassing that limit, but that limit is exceedingly low and tells us nothing about whether a person is actually impaired. So, how high is too high? Before you drive, you should test yourself. There are several apps popping up for Android and iOS that test reaction time and hand-eye coordination. These are good tools to help you make the decision of whether you are too impaired to drive. Use your best judgment to avoid a drugged driving charge, and if you are arrested, speak to an attorney. Denver drugged driving defense attorneys employ proven strategies to have your charges reduced or dismissed.